Let us show you the quality eye care we know we can provide for you. See the list below of the important eye care services that our eye care practice offers. Comprehensive eye exams for young and old alike, contact lens testing, tending to eye emergencies and a lot more. Interested in LASIK? We offer co-management of laser vision correction surgery. But if you want a non-surgical alternative, you may be a good candidate for Otho-K. Whether you live in Fort Worth, Roanoke, or Westlake, Texas State Optical Keller is just around the corner. 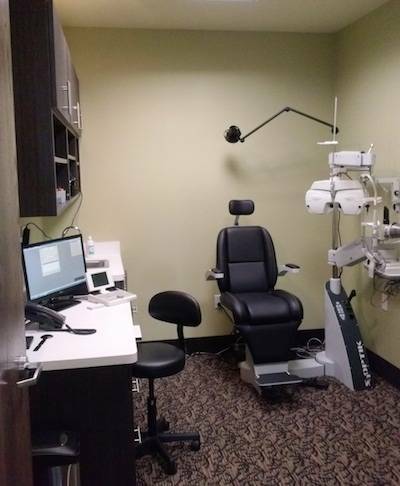 Our eye doctor provides comprehensive eye care to everyone, including treatment for a variety of conditions including dry eye, and eye diseases like diabetic retinopathy, glaucoma, macular degeneration, cataracts, and eyewear. TSO Keller specializes in BioDOptix®, a dehydrated, extracellular amniotic membrane derived from human amniotic tissue for ocular tissue repair & regeneration. Early identification of a child's vision issue is vital. The complete inability to see color, known as color blindness, is a well known phenomenon to many people. Color Vision Deficiency entails the inability of the eye to tell the difference between different shades of color.